Apple on Tuesday sent out invitations for a media event that will be held in one week, where the company is expected to launch a handful of new products, headlined by a smaller iPad with a 7.85-inch display. Invitation to Apple's Oct. 23 event, via The Loop. Apple will hold the event at the California Theatre in San Jose, Calif., at 10 a.m. Pacific, 1 p.m. Eastern, according to Jim Dalrymple of The Loop. The venue is a change from the Yerba Buena Center for the Arts, where Apple announced the iPhone 5 along with its updated iPod lineup last month. The invitations sent out members of the press feature the top of Apple's iconic logo against a background of colors. 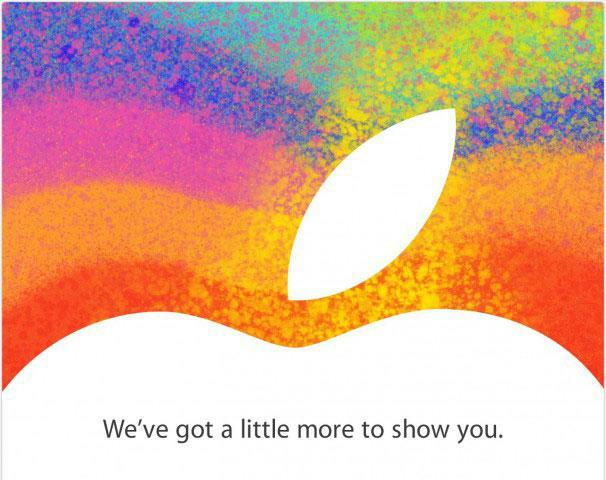 The tagline is "We've got a little more to show you," hinting at the company's so-called "iPad mini." Earlier Tuesday, AppleInsider was first to report that 24 new, different iPad configurations are set to be released by Apple. Four models  described as P101, P103, P105 and P107  were detailed via stock-keeping units ranked as "good," "better" and "best," each with two color options, presumably black and white. Inventory of the entry-level "P101" model is expected to be greatest at launch, suggesting Apple plans to focus on a low barrier to entry for its new, smaller iPad. One retail inventory list that surfaced last weekend suggested an 8-gigabyte model could cost around $249. "iPad mini" rendering by Martin Hajek. 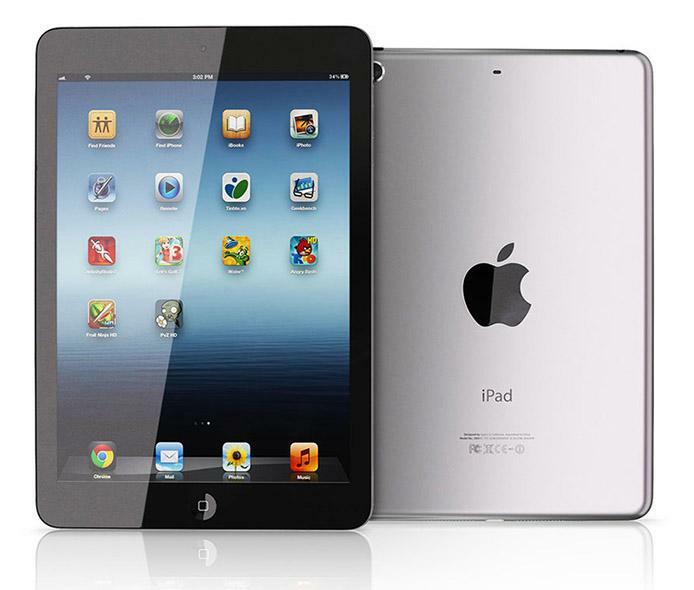 The iPad mini is expected to feature a smaller bezel than the full-size iPad, and could run a screen resolution of 1,024-by-768 pixels that would allow it to run native iPad 2 applications without any modifications. It is also expected to have forward and rear facing cameras, as well as the new smaller Lightning connector found on the iPhone 5 and latest iPods. But the smaller iPad isn't going to be the only device showcased by Apple next week, rumors have suggested. The company is also said to be planning to unveil a 13-inch MacBook Pro with Retina display onstage at next week's event. Whether or not it receives stage time, a new iMac could also be in the cards for next week. AppleInsider was told on Tuesday that there are whispers in the reseller community that the updated desktop could debut one day after the iPad mini event, on Oct. 24. And the diminutive Mac mini, Apple's small desktop computer and least expensive Mac, is also overdue for an update to Intel's latest Ivy Bridge processors. Supply of the Mac mini has been constrained at third-party resellers since earlier this month, which is often one of the first signs that a product refresh is forthcoming.